Columbus, Ohio: McCall Publishing - Field Publications. Fine. 1986. First Edition. Soft Cover. 009205: Need to complete your Cookbook Set or replace some favorites? This is a replacement Original, Glossy, Full-Color, Two-Sided Recipage or Recipe Card from the 576 Cards in this Three-Volume popular McCall's Cookbook. SPECIAL BONUS - A Replacement Complete 12-Page INDEX of all 576 Recipes will be included FREE with each card purchase. If you want more than one of the 576 Recipes, they are also available in Groups of 5, 10, 25 or 50 different recipes of your choosing. There is a reduction in cost per card for Groups. Do a SEARCH on this website for "McCall's Recipe Cards Choice of 5 (or 10 or 25 or 50)" to see these group listings. <p> We also have replacement McCall's Special Tabbed Dividers for this Cookbook (Full 18-Tab Sets) and replacement McCall's Printed 3-Ring Binders available. As a reminder, this 3-Volume Cookbook Set contains (with number of recipes per section): 1. Contents (4 Pages) * 2. Appetizers (17) * 3. Breads (49) * 4. Cakes, Cookies (51) * 5. Chicken, Poultry (49) * 6. Desserts (52) * 7. Eggs, Cheese (22) * 8. Fish, Seafood (48) * 9. Holiday Delights (21) * 10. Main Dishes (36) * 11. Meat (57) * 12. Pasta, Rice (19) * 13. Pies, Pastry (48) * 14. Salads (25) * 15. Sauces (10) * 16. Soups (24) * 17. Vegetables (48) * 18. Index (12 Pages). : 7 5/8 x 10 in. : 1 pages . Columbus, Ohio: McCall Publishing - Field Publications. Fine. 1986. First Edition. Soft Cover. 009175: Need to complete your Cookbook Set or replace some favorites? This is a replacement Original, Glossy, Full-Color, Two-Sided Recipage or Recipe Card from the 576 Cards in this Three-Volume popular McCall's Cookbook. SPECIAL BONUS - A Replacement Complete 12-Page INDEX of all 576 Recipes will be included FREE with each card purchase. If you want more than one of the 576 Recipes, they are also available in Groups of 5, 10, 25 or 50 different recipes of your choosing. There is a reduction in cost per card for Groups. Do a SEARCH on this website for "McCall's Recipe Cards Choice of 5 (or 10 or 25 or 50)" to see these group listings. <p> We also have replacement McCall's Special Tabbed Dividers for this Cookbook (Full 18-Tab Sets) and replacement McCall's Printed 3-Ring Binders available. As a reminder, this 3-Volume Cookbook Set contains (with number of recipes per section): 1. Contents (4 Pages) * 2. Appetizers (17) * 3. Breads (49) * 4. Cakes, Cookies (51) * 5. Chicken, Poultry (49) * 6. Desserts (52) * 7. Eggs, Cheese (22) * 8. Fish, Seafood (48) * 9. Holiday Delights (21) * 10. Main Dishes (36) * 11. Meat (57) * 12. Pasta, Rice (19) * 13. Pies, Pastry (48) * 14. Salads (25) * 15. Sauces (10) * 16. Soups (24) * 17. Vegetables (48) * 18. Index (12 Pages). : 7 5/8 x 10 in. : 1 pages . Columbus, Ohio: McCall Publishing - Field Publications. Fine. 1986. First Edition. Soft Cover. 011347: Need to complete your Cookbook Set or replace some favorites? This is a replacement Original, Glossy, Full-Color, Two-Sided Recipage or Recipe Card from the 576 Cards in this Three-Volume popular McCall's Cookbook. SPECIAL BONUS - A Replacement Complete 12-Page INDEX of all 576 Recipes will be included FREE with each card purchase. If you want more than one of the 576 Recipes, they are also available in Groups of 5, 10, 25 or 50 different recipes of your choosing. There is a reduction in cost per card for Groups. Do a SEARCH on this website for "McCall's Recipe Cards Choice of 5 (or 10 or 25 or 50)" to see these group listings. <p> We also have replacement McCall's Special Tabbed Dividers for this Cookbook (Full 18-Tab Sets) and replacement McCall's Printed 3-Ring Binders available. As a reminder, this 3-Volume Cookbook Set contains (with number of recipes per section): 1. Contents (4 Pages) * 2. Appetizers (17) * 3. Breads (49) * 4. Cakes, Cookies (51) * 5. Chicken, Poultry (49) * 6. Desserts (52) * 7. Eggs, Cheese (22) * 8. Fish, Seafood (48) * 9. Holiday Delights (21) * 10. Main Dishes (36) * 11. Meat (57) * 12. Pasta, Rice (19) * 13. Pies, Pastry (48) * 14. Salads (25) * 15. Sauces (10) * 16. Soups (24) * 17. Vegetables (48) * 18. Index (12 Pages). : 7 5/8 x 10 in. : 1 pages . Columbus, Ohio: McCall Publishing - Field Publications. Fine. 1986. First Edition. Soft Cover. 008655: Need to complete your Cookbook Set or replace some favorites? This is a replacement Original, Glossy, Full-Color, Two-Sided Recipage or Recipe Card from the 576 Cards in this Three-Volume popular McCall's Cookbook. SPECIAL BONUS - A Replacement Complete 12-Page INDEX of all 576 Recipes will be included FREE with each card purchase. If you want more than one of the 576 Recipes, they are also available in Groups of 5, 10, 25 or 50 different recipes of your choosing. There is a reduction in cost per card for Groups. Do a SEARCH on this website for "McCall's Recipe Cards Choice of 5 (or 10 or 25 or 50)" to see these group listings. <p> We also have replacement McCall's Special Tabbed Dividers for this Cookbook (Full 18-Tab Sets) and replacement McCall's Printed 3-Ring Binders available. As a reminder, this 3-Volume Cookbook Set contains (with number of recipes per section): 1. Contents (4 Pages) * 2. Appetizers (17) * 3. Breads (49) * 4. Cakes, Cookies (51) * 5. Chicken, Poultry (49) * 6. Desserts (52) * 7. Eggs, Cheese (22) * 8. Fish, Seafood (48) * 9. Holiday Delights (21) * 10. Main Dishes (36) * 11. Meat (57) * 12. Pasta, Rice (19) * 13. Pies, Pastry (48) * 14. Salads (25) * 15. Sauces (10) * 16. Soups (24) * 17. Vegetables (48) * 18. Index (12 Pages). : 7 5/8 x 10 in. : 1 pages . Columbus, Ohio: McCall Publishing - Field Publications. Fine. 1986. First Edition. Soft Cover. 008636: Need to complete your Cookbook Set or replace some favorites? This is a replacement Original, Glossy, Full-Color, Two-Sided Recipage or Recipe Card from the 576 Cards in this Three-Volume popular McCall's Cookbook. SPECIAL BONUS - A Replacement Complete 12-Page INDEX of all 576 Recipes will be included FREE with each card purchase. If you want more than one of the 576 Recipes, they are also available in Groups of 5, 10, 25 or 50 different recipes of your choosing. There is a reduction in cost per card for Groups. Do a SEARCH on this website for "McCall's Recipe Cards Choice of 5 (or 10 or 25 or 50)" to see these group listings. <p> We also have replacement McCall's Special Tabbed Dividers for this Cookbook (Full 18-Tab Sets) and replacement McCall's Printed 3-Ring Binders available. As a reminder, this 3-Volume Cookbook Set contains (with number of recipes per section): 1. Contents (4 Pages) * 2. Appetizers (17) * 3. Breads (49) * 4. Cakes, Cookies (51) * 5. Chicken, Poultry (49) * 6. Desserts (52) * 7. Eggs, Cheese (22) * 8. Fish, Seafood (48) * 9. Holiday Delights (21) * 10. Main Dishes (36) * 11. Meat (57) * 12. Pasta, Rice (19) * 13. Pies, Pastry (48) * 14. Salads (25) * 15. Sauces (10) * 16. Soups (24) * 17. Vegetables (48) * 18. Index (12 Pages). : 7 5/8 x 10 in. : 1 pages . Columbus, Ohio: McCall Publishing - Field Publications. Fine. 1986. First Edition. Soft Cover. 008141: Need to complete your Cookbook Set or replace some favorites? This is a replacement Original, Glossy, Full-Color, Two-Sided Recipage or Recipe Card from the 576 Cards in this Three-Volume popular McCall's Cookbook. SPECIAL BONUS - A Replacement Complete 12-Page INDEX of all 576 Recipes will be included FREE with each card purchase. If you want more than one of the 576 Recipes, they are also available in Groups of 5, 10, 25 or 50 different recipes of your choosing. There is a reduction in cost per card for Groups. Do a SEARCH on this website for "McCall's Recipe Cards Choice of 5 (or 10 or 25 or 50)" to see these group listings. <p> We also have replacement McCall's Special Tabbed Dividers for this Cookbook (Full 18-Tab Sets) and replacement McCall's Printed 3-Ring Binders available. As a reminder, this 3-Volume Cookbook Set contains (with number of recipes per section): 1. Contents (4 Pages) * 2. Appetizers (17) * 3. Breads (49) * 4. Cakes, Cookies (51) * 5. Chicken, Poultry (49) * 6. Desserts (52) * 7. Eggs, Cheese (22) * 8. Fish, Seafood (48) * 9. Holiday Delights (21) * 10. Main Dishes (36) * 11. Meat (57) * 12. Pasta, Rice (19) * 13. Pies, Pastry (48) * 14. Salads (25) * 15. Sauces (10) * 16. Soups (24) * 17. Vegetables (48) * 18. Index (12 Pages). : 7 5/8 x 10 in. : 1 pages . Columbus, Ohio: McCall Publishing - Field Publications. Fine. 1986. First Edition. Soft Cover. 008339: Need to complete your Cookbook Set or replace some favorites? This is a replacement Original, Glossy, Full-Color, Two-Sided Recipage or Recipe Card from the 576 Cards in this Three-Volume popular McCall's Cookbook. SPECIAL BONUS - A Replacement Complete 12-Page INDEX of all 576 Recipes will be included FREE with each card purchase. If you want more than one of the 576 Recipes, they are also available in Groups of 5, 10, 25 or 50 different recipes of your choosing. There is a reduction in cost per card for Groups. Do a SEARCH on this website for "McCall's Recipe Cards Choice of 5 (or 10 or 25 or 50)" to see these group listings. <p> We also have replacement McCall's Special Tabbed Dividers for this Cookbook (Full 18-Tab Sets) and replacement McCall's Printed 3-Ring Binders available. As a reminder, this 3-Volume Cookbook Set contains (with number of recipes per section): 1. Contents (4 Pages) * 2. Appetizers (17) * 3. Breads (49) * 4. Cakes, Cookies (51) * 5. Chicken, Poultry (49) * 6. Desserts (52) * 7. Eggs, Cheese (22) * 8. Fish, Seafood (48) * 9. Holiday Delights (21) * 10. Main Dishes (36) * 11. Meat (57) * 12. Pasta, Rice (19) * 13. Pies, Pastry (48) * 14. Salads (25) * 15. Sauces (10) * 16. Soups (24) * 17. Vegetables (48) * 18. Index (12 Pages). : 7 5/8 x 10 in. : 1 pages . Columbus, Ohio: McCall Publishing - Field Publications. Fine. 1986. First Edition. Soft Cover. 008051: Need to complete your Cookbook Set or replace some favorites? This is a replacement Original, Glossy, Full-Color, Two-Sided Recipage or Recipe Card from the 576 Cards in this Three-Volume popular McCall's Cookbook. SPECIAL BONUS - A Replacement Complete 12-Page INDEX of all 576 Recipes will be included FREE with each card purchase. If you want more than one of the 576 Recipes, they are also available in Groups of 5, 10, 25 or 50 different recipes of your choosing. There is a reduction in cost per card for Groups. Do a SEARCH on this website for "McCall's Recipe Cards Choice of 5 (or 10 or 25 or 50)" to see these group listings. <p> We also have replacement McCall's Special Tabbed Dividers for this Cookbook (Full 18-Tab Sets) and replacement McCall's Printed 3-Ring Binders available. As a reminder, this 3-Volume Cookbook Set contains (with number of recipes per section): 1. Contents (4 Pages) * 2. Appetizers (17) * 3. Breads (49) * 4. Cakes, Cookies (51) * 5. Chicken, Poultry (49) * 6. Desserts (52) * 7. Eggs, Cheese (22) * 8. Fish, Seafood (48) * 9. Holiday Delights (21) * 10. Main Dishes (36) * 11. Meat (57) * 12. Pasta, Rice (19) * 13. Pies, Pastry (48) * 14. Salads (25) * 15. Sauces (10) * 16. Soups (24) * 17. Vegetables (48) * 18. Index (12 Pages). : 7 5/8 x 10 in. : 1 pages . Columbus, Ohio: McCall Publishing - Field Publications. Fine. 1986. First Edition. Soft Cover. 008052: Need to complete your Cookbook Set or replace some favorites? This is a replacement Original, Glossy, Full-Color, Two-Sided Recipage or Recipe Card from the 576 Cards in this Three-Volume popular McCall's Cookbook. SPECIAL BONUS - A Replacement Complete 12-Page INDEX of all 576 Recipes will be included FREE with each card purchase. If you want more than one of the 576 Recipes, they are also available in Groups of 5, 10, 25 or 50 different recipes of your choosing. There is a reduction in cost per card for Groups. Do a SEARCH on this website for "McCall's Recipe Cards Choice of 5 (or 10 or 25 or 50)" to see these group listings. <p> We also have replacement McCall's Special Tabbed Dividers for this Cookbook (Full 18-Tab Sets) and replacement McCall's Printed 3-Ring Binders available. As a reminder, this 3-Volume Cookbook Set contains (with number of recipes per section): 1. Contents (4 Pages) * 2. Appetizers (17) * 3. Breads (49) * 4. Cakes, Cookies (51) * 5. Chicken, Poultry (49) * 6. Desserts (52) * 7. Eggs, Cheese (22) * 8. Fish, Seafood (48) * 9. Holiday Delights (21) * 10. Main Dishes (36) * 11. Meat (57) * 12. Pasta, Rice (19) * 13. Pies, Pastry (48) * 14. Salads (25) * 15. Sauces (10) * 16. Soups (24) * 17. Vegetables (48) * 18. Index (12 Pages). : 7 5/8 x 10 in. : 1 pages . Columbus, Ohio: McCall Publishing - Field Publications. Fine. 1986. First Edition. Soft Cover. 008336: Need to complete your Cookbook Set or replace some favorites? This is a replacement Original, Glossy, Full-Color, Two-Sided Recipage or Recipe Card from the 576 Cards in this Three-Volume popular McCall's Cookbook. SPECIAL BONUS - A Replacement Complete 12-Page INDEX of all 576 Recipes will be included FREE with each card purchase. If you want more than one of the 576 Recipes, they are also available in Groups of 5, 10, 25 or 50 different recipes of your choosing. There is a reduction in cost per card for Groups. Do a SEARCH on this website for "McCall's Recipe Cards Choice of 5 (or 10 or 25 or 50)" to see these group listings. <p> We also have replacement McCall's Special Tabbed Dividers for this Cookbook (Full 18-Tab Sets) and replacement McCall's Printed 3-Ring Binders available. As a reminder, this 3-Volume Cookbook Set contains (with number of recipes per section): 1. Contents (4 Pages) * 2. Appetizers (17) * 3. Breads (49) * 4. Cakes, Cookies (51) * 5. Chicken, Poultry (49) * 6. Desserts (52) * 7. Eggs, Cheese (22) * 8. Fish, Seafood (48) * 9. Holiday Delights (21) * 10. Main Dishes (36) * 11. Meat (57) * 12. Pasta, Rice (19) * 13. Pies, Pastry (48) * 14. Salads (25) * 15. Sauces (10) * 16. Soups (24) * 17. Vegetables (48) * 18. Index (12 Pages). : 7 5/8 x 10 in. : 1 pages . Columbus, Ohio: McCall Publishing - Field Publications. Fine. 1986. First Edition. Soft Cover. 008895: Need to complete your Cookbook Set or replace some favorites? This is a replacement Original, Glossy, Full-Color, Two-Sided Recipage or Recipe Card from the 576 Cards in this Three-Volume popular McCall's Cookbook. SPECIAL BONUS - A Replacement Complete 12-Page INDEX of all 576 Recipes will be included FREE with each card purchase. If you want more than one of the 576 Recipes, they are also available in Groups of 5, 10, 25 or 50 different recipes of your choosing. There is a reduction in cost per card for Groups. Do a SEARCH on this website for "McCall's Recipe Cards Choice of 5 (or 10 or 25 or 50)" to see these group listings. <p> We also have replacement McCall's Special Tabbed Dividers for this Cookbook (Full 18-Tab Sets) and replacement McCall's Printed 3-Ring Binders available. As a reminder, this 3-Volume Cookbook Set contains (with number of recipes per section): 1. Contents (4 Pages) * 2. Appetizers (17) * 3. Breads (49) * 4. Cakes, Cookies (51) * 5. Chicken, Poultry (49) * 6. Desserts (52) * 7. Eggs, Cheese (22) * 8. Fish, Seafood (48) * 9. Holiday Delights (21) * 10. Main Dishes (36) * 11. Meat (57) * 12. Pasta, Rice (19) * 13. Pies, Pastry (48) * 14. Salads (25) * 15. Sauces (10) * 16. Soups (24) * 17. Vegetables (48) * 18. Index (12 Pages). : 7 5/8 x 10 in. : 1 pages . Columbus, Ohio: McCall Publishing - Field Publications. Fine. 1986. First Edition. Soft Cover. 008463: Need to complete your Cookbook Set or replace some favorites? This is a replacement Original, Glossy, Full-Color, Two-Sided Recipage or Recipe Card from the 576 Cards in this Three-Volume popular McCall's Cookbook. SPECIAL BONUS - A Replacement Complete 12-Page INDEX of all 576 Recipes will be included FREE with each card purchase. If you want more than one of the 576 Recipes, they are also available in Groups of 5, 10, 25 or 50 different recipes of your choosing. There is a reduction in cost per card for Groups. Do a SEARCH on this website for "McCall's Recipe Cards Choice of 5 (or 10 or 25 or 50)" to see these group listings. <p> We also have replacement McCall's Special Tabbed Dividers for this Cookbook (Full 18-Tab Sets) and replacement McCall's Printed 3-Ring Binders available. As a reminder, this 3-Volume Cookbook Set contains (with number of recipes per section): 1. Contents (4 Pages) * 2. Appetizers (17) * 3. Breads (49) * 4. Cakes, Cookies (51) * 5. Chicken, Poultry (49) * 6. Desserts (52) * 7. Eggs, Cheese (22) * 8. Fish, Seafood (48) * 9. Holiday Delights (21) * 10. Main Dishes (36) * 11. Meat (57) * 12. Pasta, Rice (19) * 13. Pies, Pastry (48) * 14. Salads (25) * 15. Sauces (10) * 16. Soups (24) * 17. Vegetables (48) * 18. Index (12 Pages). : 7 5/8 x 10 in. : 1 pages . Columbus, Ohio: McCall Publishing - Field Publications. Fine. 1986. First Edition. Soft Cover. 009507: Need to complete your Cookbook Set or replace some favorites? This is a replacement Original, Glossy, Full-Color, Two-Sided Recipage or Recipe Card from the 576 Cards in this Three-Volume popular McCall's Cookbook. SPECIAL BONUS - A Replacement Complete 12-Page INDEX of all 576 Recipes will be included FREE with each card purchase. If you want more than one of the 576 Recipes, they are also available in Groups of 5, 10, 25 or 50 different recipes of your choosing. There is a reduction in cost per card for Groups. Do a SEARCH on this website for "McCall's Recipe Cards Choice of 5 (or 10 or 25 or 50)" to see these group listings. <p> We also have replacement McCall's Special Tabbed Dividers for this Cookbook (Full 18-Tab Sets) and replacement McCall's Printed 3-Ring Binders available. As a reminder, this 3-Volume Cookbook Set contains (with number of recipes per section): 1. Contents (4 Pages) * 2. Appetizers (17) * 3. Breads (49) * 4. Cakes, Cookies (51) * 5. Chicken, Poultry (49) * 6. Desserts (52) * 7. Eggs, Cheese (22) * 8. Fish, Seafood (48) * 9. Holiday Delights (21) * 10. Main Dishes (36) * 11. Meat (57) * 12. Pasta, Rice (19) * 13. Pies, Pastry (48) * 14. Salads (25) * 15. Sauces (10) * 16. Soups (24) * 17. Vegetables (48) * 18. Index (12 Pages). : 7 5/8 x 10 in. : 1 pages . Columbus, Ohio: McCall Publishing - Field Publications. Fine. 1986. First Edition. Soft Cover. 009738: Need to complete your Cookbook Set or replace some favorites? This is a replacement Original, Glossy, Full-Color, Two-Sided Recipage or Recipe Card from the 576 Cards in this Three-Volume popular McCall's Cookbook. SPECIAL BONUS - A Replacement Complete 12-Page INDEX of all 576 Recipes will be included FREE with each card purchase. If you want more than one of the 576 Recipes, they are also available in Groups of 5, 10, 25 or 50 different recipes of your choosing. There is a reduction in cost per card for Groups. Do a SEARCH on this website for "McCall's Recipe Cards Choice of 5 (or 10 or 25 or 50)" to see these group listings. <p> We also have replacement McCall's Special Tabbed Dividers for this Cookbook (Full 18-Tab Sets) and replacement McCall's Printed 3-Ring Binders available. As a reminder, this 3-Volume Cookbook Set contains (with number of recipes per section): 1. Contents (4 Pages) * 2. Appetizers (17) * 3. Breads (49) * 4. Cakes, Cookies (51) * 5. Chicken, Poultry (49) * 6. Desserts (52) * 7. Eggs, Cheese (22) * 8. Fish, Seafood (48) * 9. Holiday Delights (21) * 10. Main Dishes (36) * 11. Meat (57) * 12. Pasta, Rice (19) * 13. Pies, Pastry (48) * 14. Salads (25) * 15. Sauces (10) * 16. Soups (24) * 17. Vegetables (48) * 18. Index (12 Pages). : 7 5/8 x 10 in. : 1 pages . Columbus, Ohio: McCall Publishing - Field Publications. Fine. 1986. First Edition. Soft Cover. 010142: Need to complete your Cookbook Set or replace some favorites? This is a replacement Original, Glossy, Full-Color, Two-Sided Recipage or Recipe Card from the 576 Cards in this Three-Volume popular McCall's Cookbook. SPECIAL BONUS - A Replacement Complete 12-Page INDEX of all 576 Recipes will be included FREE with each card purchase. If you want more than one of the 576 Recipes, they are also available in Groups of 5, 10, 25 or 50 different recipes of your choosing. There is a reduction in cost per card for Groups. Do a SEARCH on this website for "McCall's Recipe Cards Choice of 5 (or 10 or 25 or 50)" to see these group listings. <p> We also have replacement McCall's Special Tabbed Dividers for this Cookbook (Full 18-Tab Sets) and replacement McCall's Printed 3-Ring Binders available. As a reminder, this 3-Volume Cookbook Set contains (with number of recipes per section): 1. Contents (4 Pages) * 2. Appetizers (17) * 3. Breads (49) * 4. Cakes, Cookies (51) * 5. Chicken, Poultry (49) * 6. Desserts (52) * 7. Eggs, Cheese (22) * 8. Fish, Seafood (48) * 9. Holiday Delights (21) * 10. Main Dishes (36) * 11. Meat (57) * 12. Pasta, Rice (19) * 13. Pies, Pastry (48) * 14. Salads (25) * 15. Sauces (10) * 16. Soups (24) * 17. Vegetables (48) * 18. Index (12 Pages). : 7 5/8 x 10 in. : 1 pages . Columbus, Ohio: McCall Publishing - Field Publications. Fine. 1986. First Edition. Soft Cover. 010129: Need to complete your Cookbook Set or replace some favorites? This is a replacement Original, Glossy, Full-Color, Two-Sided Recipage or Recipe Card from the 576 Cards in this Three-Volume popular McCall's Cookbook. SPECIAL BONUS - A Replacement Complete 12-Page INDEX of all 576 Recipes will be included FREE with each card purchase. If you want more than one of the 576 Recipes, they are also available in Groups of 5, 10, 25 or 50 different recipes of your choosing. There is a reduction in cost per card for Groups. Do a SEARCH on this website for "McCall's Recipe Cards Choice of 5 (or 10 or 25 or 50)" to see these group listings. <p> We also have replacement McCall's Special Tabbed Dividers for this Cookbook (Full 18-Tab Sets) and replacement McCall's Printed 3-Ring Binders available. As a reminder, this 3-Volume Cookbook Set contains (with number of recipes per section): 1. Contents (4 Pages) * 2. Appetizers (17) * 3. Breads (49) * 4. Cakes, Cookies (51) * 5. Chicken, Poultry (49) * 6. Desserts (52) * 7. Eggs, Cheese (22) * 8. Fish, Seafood (48) * 9. Holiday Delights (21) * 10. Main Dishes (36) * 11. Meat (57) * 12. Pasta, Rice (19) * 13. Pies, Pastry (48) * 14. Salads (25) * 15. Sauces (10) * 16. Soups (24) * 17. Vegetables (48) * 18. Index (12 Pages). : 7 5/8 x 10 in. : 1 pages . Columbus, Ohio: McCall Publishing - Field Publications. Fine. 1986. First Edition. Soft Cover. 008887: Need to complete your Cookbook Set or replace some favorites? This is a replacement Original, Glossy, Full-Color, Two-Sided Recipage or Recipe Card from the 576 Cards in this Three-Volume popular McCall's Cookbook. SPECIAL BONUS - A Replacement Complete 12-Page INDEX of all 576 Recipes will be included FREE with each card purchase. If you want more than one of the 576 Recipes, they are also available in Groups of 5, 10, 25 or 50 different recipes of your choosing. There is a reduction in cost per card for Groups. Do a SEARCH on this website for "McCall's Recipe Cards Choice of 5 (or 10 or 25 or 50)" to see these group listings. <p> We also have replacement McCall's Special Tabbed Dividers for this Cookbook (Full 18-Tab Sets) and replacement McCall's Printed 3-Ring Binders available. As a reminder, this 3-Volume Cookbook Set contains (with number of recipes per section): 1. Contents (4 Pages) * 2. Appetizers (17) * 3. Breads (49) * 4. Cakes, Cookies (51) * 5. Chicken, Poultry (49) * 6. Desserts (52) * 7. Eggs, Cheese (22) * 8. Fish, Seafood (48) * 9. Holiday Delights (21) * 10. Main Dishes (36) * 11. Meat (57) * 12. Pasta, Rice (19) * 13. Pies, Pastry (48) * 14. Salads (25) * 15. Sauces (10) * 16. Soups (24) * 17. Vegetables (48) * 18. Index (12 Pages). : 7 5/8 x 10 in. : 1 pages . Columbus, Ohio: McCall Publishing - Field Publications. Fine. 1986. First Edition. Soft Cover. 009201: Need to complete your Cookbook Set or replace some favorites? This is a replacement Original, Glossy, Full-Color, Two-Sided Recipage or Recipe Card from the 576 Cards in this Three-Volume popular McCall's Cookbook. SPECIAL BONUS - A Replacement Complete 12-Page INDEX of all 576 Recipes will be included FREE with each card purchase. If you want more than one of the 576 Recipes, they are also available in Groups of 5, 10, 25 or 50 different recipes of your choosing. There is a reduction in cost per card for Groups. Do a SEARCH on this website for "McCall's Recipe Cards Choice of 5 (or 10 or 25 or 50)" to see these group listings. <p> We also have replacement McCall's Special Tabbed Dividers for this Cookbook (Full 18-Tab Sets) and replacement McCall's Printed 3-Ring Binders available. As a reminder, this 3-Volume Cookbook Set contains (with number of recipes per section): 1. Contents (4 Pages) * 2. Appetizers (17) * 3. Breads (49) * 4. Cakes, Cookies (51) * 5. Chicken, Poultry (49) * 6. Desserts (52) * 7. Eggs, Cheese (22) * 8. Fish, Seafood (48) * 9. Holiday Delights (21) * 10. Main Dishes (36) * 11. Meat (57) * 12. Pasta, Rice (19) * 13. Pies, Pastry (48) * 14. Salads (25) * 15. Sauces (10) * 16. Soups (24) * 17. Vegetables (48) * 18. Index (12 Pages). : 7 5/8 x 10 in. : 1 pages . Columbus, Ohio: McCall Publishing - Field Publications. Fine. 1986. First Edition. Soft Cover. 008104: Need to complete your Cookbook Set or replace some favorites? This is a replacement Original, Glossy, Full-Color, Two-Sided Recipage or Recipe Card from the 576 Cards in this Three-Volume popular McCall's Cookbook. SPECIAL BONUS - A Replacement Complete 12-Page INDEX of all 576 Recipes will be included FREE with each card purchase. If you want more than one of the 576 Recipes, they are also available in Groups of 5, 10, 25 or 50 different recipes of your choosing. There is a reduction in cost per card for Groups. Do a SEARCH on this website for "McCall's Recipe Cards Choice of 5 (or 10 or 25 or 50)" to see these group listings. <p> We also have replacement McCall's Special Tabbed Dividers for this Cookbook (Full 18-Tab Sets) and replacement McCall's Printed 3-Ring Binders available. As a reminder, this 3-Volume Cookbook Set contains (with number of recipes per section): 1. Contents (4 Pages) * 2. Appetizers (17) * 3. Breads (49) * 4. Cakes, Cookies (51) * 5. Chicken, Poultry (49) * 6. Desserts (52) * 7. Eggs, Cheese (22) * 8. Fish, Seafood (48) * 9. Holiday Delights (21) * 10. Main Dishes (36) * 11. Meat (57) * 12. Pasta, Rice (19) * 13. Pies, Pastry (48) * 14. Salads (25) * 15. Sauces (10) * 16. Soups (24) * 17. Vegetables (48) * 18. Index (12 Pages). : 7 5/8 x 10 in. : 1 pages . Columbus, Ohio: McCall Publishing - Field Publications. Fine. 1986. First Edition. Soft Cover. 009158: Need to complete your Cookbook Set or replace some favorites? This is a replacement Original, Glossy, Full-Color, Two-Sided Recipage or Recipe Card from the 576 Cards in this Three-Volume popular McCall's Cookbook. SPECIAL BONUS - A Replacement Complete 12-Page INDEX of all 576 Recipes will be included FREE with each card purchase. If you want more than one of the 576 Recipes, they are also available in Groups of 5, 10, 25 or 50 different recipes of your choosing. There is a reduction in cost per card for Groups. Do a SEARCH on this website for "McCall's Recipe Cards Choice of 5 (or 10 or 25 or 50)" to see these group listings. <p> We also have replacement McCall's Special Tabbed Dividers for this Cookbook (Full 18-Tab Sets) and replacement McCall's Printed 3-Ring Binders available. As a reminder, this 3-Volume Cookbook Set contains (with number of recipes per section): 1. Contents (4 Pages) * 2. Appetizers (17) * 3. Breads (49) * 4. Cakes, Cookies (51) * 5. Chicken, Poultry (49) * 6. Desserts (52) * 7. Eggs, Cheese (22) * 8. Fish, Seafood (48) * 9. Holiday Delights (21) * 10. Main Dishes (36) * 11. Meat (57) * 12. Pasta, Rice (19) * 13. Pies, Pastry (48) * 14. Salads (25) * 15. Sauces (10) * 16. Soups (24) * 17. Vegetables (48) * 18. Index (12 Pages). : 7 5/8 x 10 in. : 1 pages . Columbus, Ohio: McCall Publishing - Field Publications. Fine. 1986. First Edition. Soft Cover. 008488: Need to complete your Cookbook Set or replace some favorites? This is a replacement Original, Glossy, Full-Color, Two-Sided Recipage or Recipe Card from the 576 Cards in this Three-Volume popular McCall's Cookbook. SPECIAL BONUS - A Replacement Complete 12-Page INDEX of all 576 Recipes will be included FREE with each card purchase. If you want more than one of the 576 Recipes, they are also available in Groups of 5, 10, 25 or 50 different recipes of your choosing. There is a reduction in cost per card for Groups. Do a SEARCH on this website for "McCall's Recipe Cards Choice of 5 (or 10 or 25 or 50)" to see these group listings. <p> We also have replacement McCall's Special Tabbed Dividers for this Cookbook (Full 18-Tab Sets) and replacement McCall's Printed 3-Ring Binders available. As a reminder, this 3-Volume Cookbook Set contains (with number of recipes per section): 1. Contents (4 Pages) * 2. Appetizers (17) * 3. Breads (49) * 4. Cakes, Cookies (51) * 5. Chicken, Poultry (49) * 6. Desserts (52) * 7. Eggs, Cheese (22) * 8. Fish, Seafood (48) * 9. Holiday Delights (21) * 10. Main Dishes (36) * 11. Meat (57) * 12. Pasta, Rice (19) * 13. Pies, Pastry (48) * 14. Salads (25) * 15. Sauces (10) * 16. Soups (24) * 17. Vegetables (48) * 18. Index (12 Pages). : 7 5/8 x 10 in. : 1 pages . Columbus, Ohio: McCall Publishing - Field Publications. Fine. 1986. First Edition. Soft Cover. 012098: Need to complete your Cookbook Set or replace some favorites? This is a replacement Original, Glossy, Full-Color, Two-Sided Recipage or Recipe Card from the 576 Cards in this Three-Volume popular McCall's Cookbook. SPECIAL BONUS - A Replacement Complete 12-Page INDEX of all 576 Recipes will be included FREE with each card purchase. If you want more than one of the 576 Recipes, they are also available in Groups of 5, 10, 25 or 50 different recipes of your choosing. There is a reduction in cost per card for Groups. Do a SEARCH on this website for "McCall's Recipe Cards Choice of 5 (or 10 or 25 or 50)" to see these group listings. <p> We also have replacement McCall's Special Tabbed Dividers for this Cookbook (Full 18-Tab Sets) and replacement McCall's Printed 3-Ring Binders available. As a reminder, this 3-Volume Cookbook Set contains (with number of recipes per section): 1. Contents (4 Pages) * 2. Appetizers (17) * 3. Breads (49) * 4. Cakes, Cookies (51) * 5. Chicken, Poultry (49) * 6. Desserts (52) * 7. Eggs, Cheese (22) * 8. Fish, Seafood (48) * 9. Holiday Delights (21) * 10. Main Dishes (36) * 11. Meat (57) * 12. Pasta, Rice (19) * 13. Pies, Pastry (48) * 14. Salads (25) * 15. Sauces (10) * 16. Soups (24) * 17. Vegetables (48) * 18. Index (12 Pages). : 7 5/8 x 10 in. : 1 pages . Columbus, Ohio: McCall Publishing - Field Publications. Fine. 1986. First Edition. Soft Cover. 009056: Need to complete your Cookbook Set or replace some favorites? This is a replacement Original, Glossy, Full-Color, Two-Sided Recipage or Recipe Card from the 576 Cards in this Three-Volume popular McCall's Cookbook. SPECIAL BONUS - A Replacement Complete 12-Page INDEX of all 576 Recipes will be included FREE with each card purchase. If you want more than one of the 576 Recipes, they are also available in Groups of 5, 10, 25 or 50 different recipes of your choosing. There is a reduction in cost per card for Groups. Do a SEARCH on this website for "McCall's Recipe Cards Choice of 5 (or 10 or 25 or 50)" to see these group listings. <p> We also have replacement McCall's Special Tabbed Dividers for this Cookbook (Full 18-Tab Sets) and replacement McCall's Printed 3-Ring Binders available. As a reminder, this 3-Volume Cookbook Set contains (with number of recipes per section): 1. Contents (4 Pages) * 2. Appetizers (17) * 3. Breads (49) * 4. Cakes, Cookies (51) * 5. Chicken, Poultry (49) * 6. Desserts (52) * 7. Eggs, Cheese (22) * 8. Fish, Seafood (48) * 9. Holiday Delights (21) * 10. Main Dishes (36) * 11. Meat (57) * 12. Pasta, Rice (19) * 13. Pies, Pastry (48) * 14. Salads (25) * 15. Sauces (10) * 16. Soups (24) * 17. Vegetables (48) * 18. Index (12 Pages). : 7 5/8 x 10 in. : 1 pages . Columbus, Ohio: McCall Publishing - Field Publications. Fine. 1986. First Edition. Soft Cover. 008500: Need to complete your Cookbook Set or replace some favorites? This is a replacement Original, Glossy, Full-Color, Two-Sided Recipage or Recipe Card from the 576 Cards in this Three-Volume popular McCall's Cookbook. SPECIAL BONUS - A Replacement Complete 12-Page INDEX of all 576 Recipes will be included FREE with each card purchase. If you want more than one of the 576 Recipes, they are also available in Groups of 5, 10, 25 or 50 different recipes of your choosing. There is a reduction in cost per card for Groups. Do a SEARCH on this website for "McCall's Recipe Cards Choice of 5 (or 10 or 25 or 50)" to see these group listings. <p> We also have replacement McCall's Special Tabbed Dividers for this Cookbook (Full 18-Tab Sets) and replacement McCall's Printed 3-Ring Binders available. As a reminder, this 3-Volume Cookbook Set contains (with number of recipes per section): 1. Contents (4 Pages) * 2. Appetizers (17) * 3. Breads (49) * 4. Cakes, Cookies (51) * 5. Chicken, Poultry (49) * 6. Desserts (52) * 7. Eggs, Cheese (22) * 8. Fish, Seafood (48) * 9. Holiday Delights (21) * 10. Main Dishes (36) * 11. Meat (57) * 12. Pasta, Rice (19) * 13. Pies, Pastry (48) * 14. Salads (25) * 15. Sauces (10) * 16. Soups (24) * 17. Vegetables (48) * 18. Index (12 Pages). : 7 5/8 x 10 in. : 1 pages . Columbus, Ohio: McCall Publishing - Field Publications. Fine. 1986. First Edition. Soft Cover. 014067: Need to complete your Cookbook Set or replace some favorites? This is a replacement Original, Glossy, Full-Color, Two-Sided Recipage or Recipe Card from the 576 Cards in this Three-Volume popular McCall's Cookbook. SPECIAL BONUS - A Replacement Complete 12-Page INDEX of all 576 Recipes will be included FREE with each card purchase. If you want more than one of the 576 Recipes, they are also available in Groups of 5, 10, 25 or 50 different recipes of your choosing. There is a reduction in cost per card for Groups. Do a SEARCH on this website for "McCall's Recipe Cards Choice of 5 (or 10 or 25 or 50)" to see these group listings. <p> We also have replacement McCall's Special Tabbed Dividers for this Cookbook (Full 18-Tab Sets) and replacement McCall's Printed 3-Ring Binders available. As a reminder, this 3-Volume Cookbook Set contains (with number of recipes per section): 1. Contents (4 Pages) * 2. Appetizers (17) * 3. Breads (49) * 4. Cakes, Cookies (51) * 5. Chicken, Poultry (49) * 6. Desserts (52) * 7. Eggs, Cheese (22) * 8. Fish, Seafood (48) * 9. Holiday Delights (21) * 10. Main Dishes (36) * 11. Meat (57) * 12. Pasta, Rice (19) * 13. Pies, Pastry (48) * 14. Salads (25) * 15. Sauces (10) * 16. Soups (24) * 17. Vegetables (48) * 18. Index (12 Pages). : 7 5/8 x 10 in. : 1 pages . Columbus, Ohio: McCall Publishing - Field Publications. Fine. 1986. First Edition. Soft Cover. 011576: Need to complete your Cookbook Set or replace some favorites? This is a replacement Original, Glossy, Full-Color, Two-Sided Recipage or Recipe Card from the 576 Cards in this Three-Volume popular McCall's Cookbook. SPECIAL BONUS - A Replacement Complete 12-Page INDEX of all 576 Recipes will be included FREE with each card purchase. If you want more than one of the 576 Recipes, they are also available in Groups of 5, 10, 25 or 50 different recipes of your choosing. There is a reduction in cost per card for Groups. Do a SEARCH on this website for "McCall's Recipe Cards Choice of 5 (or 10 or 25 or 50)" to see these group listings. <p> We also have replacement McCall's Special Tabbed Dividers for this Cookbook (Full 18-Tab Sets) and replacement McCall's Printed 3-Ring Binders available. As a reminder, this 3-Volume Cookbook Set contains (with number of recipes per section): 1. Contents (4 Pages) * 2. Appetizers (17) * 3. Breads (49) * 4. Cakes, Cookies (51) * 5. Chicken, Poultry (49) * 6. Desserts (52) * 7. Eggs, Cheese (22) * 8. Fish, Seafood (48) * 9. Holiday Delights (21) * 10. Main Dishes (36) * 11. Meat (57) * 12. Pasta, Rice (19) * 13. Pies, Pastry (48) * 14. Salads (25) * 15. Sauces (10) * 16. Soups (24) * 17. Vegetables (48) * 18. Index (12 Pages). : 7 5/8 x 10 in. : 1 pages . Columbus, Ohio: McCall Publishing - Field Publications. Fine. 1986. First Edition. Soft Cover. 009477: Need to complete your Cookbook Set or replace some favorites? This is a replacement Original, Glossy, Full-Color, Two-Sided Recipage or Recipe Card from the 576 Cards in this Three-Volume popular McCall's Cookbook. SPECIAL BONUS - A Replacement Complete 12-Page INDEX of all 576 Recipes will be included FREE with each card purchase. If you want more than one of the 576 Recipes, they are also available in Groups of 5, 10, 25 or 50 different recipes of your choosing. There is a reduction in cost per card for Groups. Do a SEARCH on this website for "McCall's Recipe Cards Choice of 5 (or 10 or 25 or 50)" to see these group listings. <p> We also have replacement McCall's Special Tabbed Dividers for this Cookbook (Full 18-Tab Sets) and replacement McCall's Printed 3-Ring Binders available. As a reminder, this 3-Volume Cookbook Set contains (with number of recipes per section): 1. Contents (4 Pages) * 2. Appetizers (17) * 3. Breads (49) * 4. Cakes, Cookies (51) * 5. Chicken, Poultry (49) * 6. Desserts (52) * 7. Eggs, Cheese (22) * 8. Fish, Seafood (48) * 9. Holiday Delights (21) * 10. Main Dishes (36) * 11. Meat (57) * 12. Pasta, Rice (19) * 13. Pies, Pastry (48) * 14. Salads (25) * 15. Sauces (10) * 16. Soups (24) * 17. Vegetables (48) * 18. Index (12 Pages). : 7 5/8 x 10 in. : 1 pages . Columbus, Ohio: McCall Publishing - Field Publications. Fine. 1986. First Edition. Soft Cover. 007889: Need to complete your Cookbook Set or replace some favorites? This is a replacement Original, Glossy, Full-Color, Two-Sided Recipage or Recipe Card from the 576 Cards in this Three-Volume popular McCall's Cookbook. SPECIAL BONUS - A Replacement Complete 12-Page INDEX of all 576 Recipes will be included FREE with each card purchase. If you want more than one of the 576 Recipes, they are also available in Groups of 5, 10, 25 or 50 different recipes of your choosing. There is a reduction in cost per card for Groups. Do a SEARCH on this website for "McCall's Recipe Cards Choice of 5 (or 10 or 25 or 50)" to see these group listings. <p> We also have replacement McCall's Special Tabbed Dividers for this Cookbook (Full 18-Tab Sets) and replacement McCall's Printed 3-Ring Binders available. As a reminder, this 3-Volume Cookbook Set contains (with number of recipes per section): 1. Contents (4 Pages) * 2. Appetizers (17) * 3. Breads (49) * 4. Cakes, Cookies (51) * 5. Chicken, Poultry (49) * 6. Desserts (52) * 7. Eggs, Cheese (22) * 8. Fish, Seafood (48) * 9. Holiday Delights (21) * 10. Main Dishes (36) * 11. Meat (57) * 12. Pasta, Rice (19) * 13. Pies, Pastry (48) * 14. Salads (25) * 15. Sauces (10) * 16. Soups (24) * 17. Vegetables (48) * 18. Index (12 Pages). : 7 5/8 x 10 in. : 1 pages . Columbus, Ohio: McCall Publishing - Field Publications. Fine. 1986. First Edition. Soft Cover. 009401: Need to complete your Cookbook Set or replace some favorites? This is a replacement Original, Glossy, Full-Color, Two-Sided Recipage or Recipe Card from the 576 Cards in this Three-Volume popular McCall's Cookbook. SPECIAL BONUS - A Replacement Complete 12-Page INDEX of all 576 Recipes will be included FREE with each card purchase. If you want more than one of the 576 Recipes, they are also available in Groups of 5, 10, 25 or 50 different recipes of your choosing. There is a reduction in cost per card for Groups. Do a SEARCH on this website for "McCall's Recipe Cards Choice of 5 (or 10 or 25 or 50)" to see these group listings. <p> We also have replacement McCall's Special Tabbed Dividers for this Cookbook (Full 18-Tab Sets) and replacement McCall's Printed 3-Ring Binders available. As a reminder, this 3-Volume Cookbook Set contains (with number of recipes per section): 1. Contents (4 Pages) * 2. Appetizers (17) * 3. Breads (49) * 4. Cakes, Cookies (51) * 5. Chicken, Poultry (49) * 6. Desserts (52) * 7. Eggs, Cheese (22) * 8. Fish, Seafood (48) * 9. Holiday Delights (21) * 10. Main Dishes (36) * 11. Meat (57) * 12. Pasta, Rice (19) * 13. Pies, Pastry (48) * 14. Salads (25) * 15. Sauces (10) * 16. Soups (24) * 17. Vegetables (48) * 18. Index (12 Pages). : 7 5/8 x 10 in. : 1 pages . Columbus, Ohio: McCall Publishing - Field Publications. Fine. 1986. First Edition. Soft Cover. 009314: Need to complete your Cookbook Set or replace some favorites? This is a replacement Original, Glossy, Full-Color, Two-Sided Recipage or Recipe Card from the 576 Cards in this Three-Volume popular McCall's Cookbook. SPECIAL BONUS - A Replacement Complete 12-Page INDEX of all 576 Recipes will be included FREE with each card purchase. If you want more than one of the 576 Recipes, they are also available in Groups of 5, 10, 25 or 50 different recipes of your choosing. There is a reduction in cost per card for Groups. Do a SEARCH on this website for "McCall's Recipe Cards Choice of 5 (or 10 or 25 or 50)" to see these group listings. <p> We also have replacement McCall's Special Tabbed Dividers for this Cookbook (Full 18-Tab Sets) and replacement McCall's Printed 3-Ring Binders available. As a reminder, this 3-Volume Cookbook Set contains (with number of recipes per section): 1. Contents (4 Pages) * 2. Appetizers (17) * 3. Breads (49) * 4. Cakes, Cookies (51) * 5. Chicken, Poultry (49) * 6. Desserts (52) * 7. Eggs, Cheese (22) * 8. Fish, Seafood (48) * 9. Holiday Delights (21) * 10. Main Dishes (36) * 11. Meat (57) * 12. Pasta, Rice (19) * 13. Pies, Pastry (48) * 14. Salads (25) * 15. Sauces (10) * 16. Soups (24) * 17. Vegetables (48) * 18. Index (12 Pages). : 7 5/8 x 10 in. : 1 pages . Columbus, Ohio: McCall Publishing - Field Publications. Fine. 1986. First Edition. Soft Cover. 008619: Need to complete your Cookbook Set or replace some favorites? This is a replacement Original, Glossy, Full-Color, Two-Sided Recipage or Recipe Card from the 576 Cards in this Three-Volume popular McCall's Cookbook. SPECIAL BONUS - A Replacement Complete 12-Page INDEX of all 576 Recipes will be included FREE with each card purchase. If you want more than one of the 576 Recipes, they are also available in Groups of 5, 10, 25 or 50 different recipes of your choosing. There is a reduction in cost per card for Groups. Do a SEARCH on this website for "McCall's Recipe Cards Choice of 5 (or 10 or 25 or 50)" to see these group listings. <p> We also have replacement McCall's Special Tabbed Dividers for this Cookbook (Full 18-Tab Sets) and replacement McCall's Printed 3-Ring Binders available. As a reminder, this 3-Volume Cookbook Set contains (with number of recipes per section): 1. Contents (4 Pages) * 2. Appetizers (17) * 3. Breads (49) * 4. Cakes, Cookies (51) * 5. Chicken, Poultry (49) * 6. Desserts (52) * 7. Eggs, Cheese (22) * 8. Fish, Seafood (48) * 9. Holiday Delights (21) * 10. Main Dishes (36) * 11. Meat (57) * 12. Pasta, Rice (19) * 13. Pies, Pastry (48) * 14. Salads (25) * 15. Sauces (10) * 16. Soups (24) * 17. Vegetables (48) * 18. Index (12 Pages). : 7 5/8 x 10 in. : 1 pages . Columbus, Ohio: McCall Publishing - Field Publications. Fine. 1986. First Edition. Soft Cover. 008125: Need to complete your Cookbook Set or replace some favorites? This is a replacement Original, Glossy, Full-Color, Two-Sided Recipage or Recipe Card from the 576 Cards in this Three-Volume popular McCall's Cookbook. SPECIAL BONUS - A Replacement Complete 12-Page INDEX of all 576 Recipes will be included FREE with each card purchase. If you want more than one of the 576 Recipes, they are also available in Groups of 5, 10, 25 or 50 different recipes of your choosing. There is a reduction in cost per card for Groups. Do a SEARCH on this website for "McCall's Recipe Cards Choice of 5 (or 10 or 25 or 50)" to see these group listings. <p> We also have replacement McCall's Special Tabbed Dividers for this Cookbook (Full 18-Tab Sets) and replacement McCall's Printed 3-Ring Binders available. As a reminder, this 3-Volume Cookbook Set contains (with number of recipes per section): 1. Contents (4 Pages) * 2. Appetizers (17) * 3. Breads (49) * 4. Cakes, Cookies (51) * 5. Chicken, Poultry (49) * 6. Desserts (52) * 7. Eggs, Cheese (22) * 8. Fish, Seafood (48) * 9. Holiday Delights (21) * 10. Main Dishes (36) * 11. Meat (57) * 12. Pasta, Rice (19) * 13. Pies, Pastry (48) * 14. Salads (25) * 15. Sauces (10) * 16. Soups (24) * 17. Vegetables (48) * 18. Index (12 Pages). : 7 5/8 x 10 in. : 1 pages . Columbus, Ohio: McCall Publishing - Field Publications. Fine. 1986. First Edition. Soft Cover. 009105: Need to complete your Cookbook Set or replace some favorites? This is a replacement Original, Glossy, Full-Color, Two-Sided Recipage or Recipe Card from the 576 Cards in this Three-Volume popular McCall's Cookbook. SPECIAL BONUS - A Replacement Complete 12-Page INDEX of all 576 Recipes will be included FREE with each card purchase. If you want more than one of the 576 Recipes, they are also available in Groups of 5, 10, 25 or 50 different recipes of your choosing. There is a reduction in cost per card for Groups. Do a SEARCH on this website for "McCall's Recipe Cards Choice of 5 (or 10 or 25 or 50)" to see these group listings. <p> We also have replacement McCall's Special Tabbed Dividers for this Cookbook (Full 18-Tab Sets) and replacement McCall's Printed 3-Ring Binders available. As a reminder, this 3-Volume Cookbook Set contains (with number of recipes per section): 1. Contents (4 Pages) * 2. Appetizers (17) * 3. Breads (49) * 4. Cakes, Cookies (51) * 5. Chicken, Poultry (49) * 6. Desserts (52) * 7. Eggs, Cheese (22) * 8. Fish, Seafood (48) * 9. Holiday Delights (21) * 10. Main Dishes (36) * 11. Meat (57) * 12. Pasta, Rice (19) * 13. Pies, Pastry (48) * 14. Salads (25) * 15. Sauces (10) * 16. Soups (24) * 17. Vegetables (48) * 18. Index (12 Pages). : 7 5/8 x 10 in. : 1 pages . Columbus, Ohio: McCall Publishing - Field Publications. Fine. 1986. First Edition. Soft Cover. 008519: Need to complete your Cookbook Set or replace some favorites? This is a replacement Original, Glossy, Full-Color, Two-Sided Recipage or Recipe Card from the 576 Cards in this Three-Volume popular McCall's Cookbook. SPECIAL BONUS - A Replacement Complete 12-Page INDEX of all 576 Recipes will be included FREE with each card purchase. If you want more than one of the 576 Recipes, they are also available in Groups of 5, 10, 25 or 50 different recipes of your choosing. There is a reduction in cost per card for Groups. Do a SEARCH on this website for "McCall's Recipe Cards Choice of 5 (or 10 or 25 or 50)" to see these group listings. <p> We also have replacement McCall's Special Tabbed Dividers for this Cookbook (Full 18-Tab Sets) and replacement McCall's Printed 3-Ring Binders available. As a reminder, this 3-Volume Cookbook Set contains (with number of recipes per section): 1. Contents (4 Pages) * 2. Appetizers (17) * 3. Breads (49) * 4. Cakes, Cookies (51) * 5. Chicken, Poultry (49) * 6. Desserts (52) * 7. Eggs, Cheese (22) * 8. Fish, Seafood (48) * 9. Holiday Delights (21) * 10. Main Dishes (36) * 11. Meat (57) * 12. Pasta, Rice (19) * 13. Pies, Pastry (48) * 14. Salads (25) * 15. Sauces (10) * 16. Soups (24) * 17. Vegetables (48) * 18. Index (12 Pages). : 7 5/8 x 10 in. : 1 pages . Columbus, Ohio: McCall Publishing - Field Publications. Fine. 1986. First Edition. Soft Cover. 012115: Need to complete your Cookbook Set or replace some favorites? 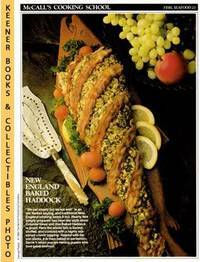 This is a replacement Original, Glossy, Full-Color, Two-Sided Recipage or Recipe Card from the 576 Cards in this Three-Volume popular McCall's Cookbook. SPECIAL BONUS - A Replacement Complete 12-Page INDEX of all 576 Recipes will be included FREE with each card purchase. If you want more than one of the 576 Recipes, they are also available in Groups of 5, 10, 25 or 50 different recipes of your choosing. There is a reduction in cost per card for Groups. Do a SEARCH on this website for "McCall's Recipe Cards Choice of 5 (or 10 or 25 or 50)" to see these group listings. <p> We also have replacement McCall's Special Tabbed Dividers for this Cookbook (Full 18-Tab Sets) and replacement McCall's Printed 3-Ring Binders available. As a reminder, this 3-Volume Cookbook Set contains (with number of recipes per section): 1. Contents (4 Pages) * 2. Appetizers (17) * 3. Breads (49) * 4. Cakes, Cookies (51) * 5. Chicken, Poultry (49) * 6. Desserts (52) * 7. Eggs, Cheese (22) * 8. Fish, Seafood (48) * 9. Holiday Delights (21) * 10. Main Dishes (36) * 11. Meat (57) * 12. Pasta, Rice (19) * 13. Pies, Pastry (48) * 14. Salads (25) * 15. Sauces (10) * 16. Soups (24) * 17. Vegetables (48) * 18. Index (12 Pages). : 7 5/8 x 10 in. : 1 pages . Columbus, Ohio: McCall Publishing - Field Publications. Fine. 1986. First Edition. Soft Cover. 008818: Need to complete your Cookbook Set or replace some favorites? This is a replacement Original, Glossy, Full-Color, Two-Sided Recipage or Recipe Card from the 576 Cards in this Three-Volume popular McCall's Cookbook. SPECIAL BONUS - A Replacement Complete 12-Page INDEX of all 576 Recipes will be included FREE with each card purchase. If you want more than one of the 576 Recipes, they are also available in Groups of 5, 10, 25 or 50 different recipes of your choosing. There is a reduction in cost per card for Groups. Do a SEARCH on this website for "McCall's Recipe Cards Choice of 5 (or 10 or 25 or 50)" to see these group listings. <p> We also have replacement McCall's Special Tabbed Dividers for this Cookbook (Full 18-Tab Sets) and replacement McCall's Printed 3-Ring Binders available. As a reminder, this 3-Volume Cookbook Set contains (with number of recipes per section): 1. Contents (4 Pages) * 2. Appetizers (17) * 3. Breads (49) * 4. Cakes, Cookies (51) * 5. Chicken, Poultry (49) * 6. Desserts (52) * 7. Eggs, Cheese (22) * 8. Fish, Seafood (48) * 9. Holiday Delights (21) * 10. Main Dishes (36) * 11. Meat (57) * 12. Pasta, Rice (19) * 13. Pies, Pastry (48) * 14. Salads (25) * 15. Sauces (10) * 16. Soups (24) * 17. Vegetables (48) * 18. Index (12 Pages). : 7 5/8 x 10 in. : 1 pages . Columbus, Ohio: McCall Publishing - Field Publications. Fine. 1986. First Edition. Soft Cover. 008384: Need to complete your Cookbook Set or replace some favorites? This is a replacement Original, Glossy, Full-Color, Two-Sided Recipage or Recipe Card from the 576 Cards in this Three-Volume popular McCall's Cookbook. SPECIAL BONUS - A Replacement Complete 12-Page INDEX of all 576 Recipes will be included FREE with each card purchase. If you want more than one of the 576 Recipes, they are also available in Groups of 5, 10, 25 or 50 different recipes of your choosing. There is a reduction in cost per card for Groups. Do a SEARCH on this website for "McCall's Recipe Cards Choice of 5 (or 10 or 25 or 50)" to see these group listings. <p> We also have replacement McCall's Special Tabbed Dividers for this Cookbook (Full 18-Tab Sets) and replacement McCall's Printed 3-Ring Binders available. As a reminder, this 3-Volume Cookbook Set contains (with number of recipes per section): 1. Contents (4 Pages) * 2. Appetizers (17) * 3. Breads (49) * 4. Cakes, Cookies (51) * 5. Chicken, Poultry (49) * 6. Desserts (52) * 7. Eggs, Cheese (22) * 8. Fish, Seafood (48) * 9. Holiday Delights (21) * 10. Main Dishes (36) * 11. Meat (57) * 12. Pasta, Rice (19) * 13. Pies, Pastry (48) * 14. Salads (25) * 15. Sauces (10) * 16. Soups (24) * 17. Vegetables (48) * 18. Index (12 Pages). : 7 5/8 x 10 in. : 1 pages . Columbus, Ohio: McCall Publishing - Field Publications. Fine. 1986. First Edition. Soft Cover. 008101: Need to complete your Cookbook Set or replace some favorites? This is a replacement Original, Glossy, Full-Color, Two-Sided Recipage or Recipe Card from the 576 Cards in this Three-Volume popular McCall's Cookbook. SPECIAL BONUS - A Replacement Complete 12-Page INDEX of all 576 Recipes will be included FREE with each card purchase. If you want more than one of the 576 Recipes, they are also available in Groups of 5, 10, 25 or 50 different recipes of your choosing. There is a reduction in cost per card for Groups. Do a SEARCH on this website for "McCall's Recipe Cards Choice of 5 (or 10 or 25 or 50)" to see these group listings. <p> We also have replacement McCall's Special Tabbed Dividers for this Cookbook (Full 18-Tab Sets) and replacement McCall's Printed 3-Ring Binders available. As a reminder, this 3-Volume Cookbook Set contains (with number of recipes per section): 1. Contents (4 Pages) * 2. Appetizers (17) * 3. Breads (49) * 4. Cakes, Cookies (51) * 5. Chicken, Poultry (49) * 6. Desserts (52) * 7. Eggs, Cheese (22) * 8. Fish, Seafood (48) * 9. Holiday Delights (21) * 10. Main Dishes (36) * 11. Meat (57) * 12. Pasta, Rice (19) * 13. Pies, Pastry (48) * 14. Salads (25) * 15. Sauces (10) * 16. Soups (24) * 17. Vegetables (48) * 18. Index (12 Pages). : 7 5/8 x 10 in. : 1 pages . Columbus, Ohio: McCall Publishing - Field Publications. Fine. 1986. First Edition. Soft Cover. 008414: Need to complete your Cookbook Set or replace some favorites? This is a replacement Original, Glossy, Full-Color, Two-Sided Recipage or Recipe Card from the 576 Cards in this Three-Volume popular McCall's Cookbook. SPECIAL BONUS - A Replacement Complete 12-Page INDEX of all 576 Recipes will be included FREE with each card purchase. If you want more than one of the 576 Recipes, they are also available in Groups of 5, 10, 25 or 50 different recipes of your choosing. There is a reduction in cost per card for Groups. Do a SEARCH on this website for "McCall's Recipe Cards Choice of 5 (or 10 or 25 or 50)" to see these group listings. <p> We also have replacement McCall's Special Tabbed Dividers for this Cookbook (Full 18-Tab Sets) and replacement McCall's Printed 3-Ring Binders available. As a reminder, this 3-Volume Cookbook Set contains (with number of recipes per section): 1. Contents (4 Pages) * 2. Appetizers (17) * 3. Breads (49) * 4. Cakes, Cookies (51) * 5. Chicken, Poultry (49) * 6. Desserts (52) * 7. Eggs, Cheese (22) * 8. Fish, Seafood (48) * 9. Holiday Delights (21) * 10. Main Dishes (36) * 11. Meat (57) * 12. Pasta, Rice (19) * 13. Pies, Pastry (48) * 14. Salads (25) * 15. Sauces (10) * 16. Soups (24) * 17. Vegetables (48) * 18. Index (12 Pages). : 7 5/8 x 10 in. : 1 pages . Columbus, Ohio: McCall Publishing - Field Publications. Fine. 1986. First Edition. Soft Cover. 008290: Need to complete your Cookbook Set or replace some favorites? This is a replacement Original, Glossy, Full-Color, Two-Sided Recipage or Recipe Card from the 576 Cards in this Three-Volume popular McCall's Cookbook. SPECIAL BONUS - A Replacement Complete 12-Page INDEX of all 576 Recipes will be included FREE with each card purchase. If you want more than one of the 576 Recipes, they are also available in Groups of 5, 10, 25 or 50 different recipes of your choosing. There is a reduction in cost per card for Groups. Do a SEARCH on this website for "McCall's Recipe Cards Choice of 5 (or 10 or 25 or 50)" to see these group listings. <p> We also have replacement McCall's Special Tabbed Dividers for this Cookbook (Full 18-Tab Sets) and replacement McCall's Printed 3-Ring Binders available. As a reminder, this 3-Volume Cookbook Set contains (with number of recipes per section): 1. Contents (4 Pages) * 2. Appetizers (17) * 3. Breads (49) * 4. Cakes, Cookies (51) * 5. Chicken, Poultry (49) * 6. Desserts (52) * 7. Eggs, Cheese (22) * 8. Fish, Seafood (48) * 9. Holiday Delights (21) * 10. Main Dishes (36) * 11. Meat (57) * 12. Pasta, Rice (19) * 13. Pies, Pastry (48) * 14. Salads (25) * 15. Sauces (10) * 16. Soups (24) * 17. Vegetables (48) * 18. Index (12 Pages). : 7 5/8 x 10 in. : 1 pages . Columbus, Ohio: McCall Publishing - Field Publications. Fine. 1986. First Edition. Soft Cover. 008869: Need to complete your Cookbook Set or replace some favorites? This is a replacement Original, Glossy, Full-Color, Two-Sided Recipage or Recipe Card from the 576 Cards in this Three-Volume popular McCall's Cookbook. SPECIAL BONUS - A Replacement Complete 12-Page INDEX of all 576 Recipes will be included FREE with each card purchase. If you want more than one of the 576 Recipes, they are also available in Groups of 5, 10, 25 or 50 different recipes of your choosing. There is a reduction in cost per card for Groups. Do a SEARCH on this website for "McCall's Recipe Cards Choice of 5 (or 10 or 25 or 50)" to see these group listings. <p> We also have replacement McCall's Special Tabbed Dividers for this Cookbook (Full 18-Tab Sets) and replacement McCall's Printed 3-Ring Binders available. As a reminder, this 3-Volume Cookbook Set contains (with number of recipes per section): 1. Contents (4 Pages) * 2. Appetizers (17) * 3. Breads (49) * 4. Cakes, Cookies (51) * 5. Chicken, Poultry (49) * 6. Desserts (52) * 7. Eggs, Cheese (22) * 8. Fish, Seafood (48) * 9. Holiday Delights (21) * 10. Main Dishes (36) * 11. Meat (57) * 12. Pasta, Rice (19) * 13. Pies, Pastry (48) * 14. Salads (25) * 15. Sauces (10) * 16. Soups (24) * 17. Vegetables (48) * 18. Index (12 Pages). : 7 5/8 x 10 in. : 1 pages . Columbus, Ohio: McCall Publishing - Field Publications. Fine. 1986. First Edition. Soft Cover. 008832: Need to complete your Cookbook Set or replace some favorites? This is a replacement Original, Glossy, Full-Color, Two-Sided Recipage or Recipe Card from the 576 Cards in this Three-Volume popular McCall's Cookbook. SPECIAL BONUS - A Replacement Complete 12-Page INDEX of all 576 Recipes will be included FREE with each card purchase. If you want more than one of the 576 Recipes, they are also available in Groups of 5, 10, 25 or 50 different recipes of your choosing. There is a reduction in cost per card for Groups. Do a SEARCH on this website for "McCall's Recipe Cards Choice of 5 (or 10 or 25 or 50)" to see these group listings. <p> We also have replacement McCall's Special Tabbed Dividers for this Cookbook (Full 18-Tab Sets) and replacement McCall's Printed 3-Ring Binders available. As a reminder, this 3-Volume Cookbook Set contains (with number of recipes per section): 1. Contents (4 Pages) * 2. Appetizers (17) * 3. Breads (49) * 4. Cakes, Cookies (51) * 5. Chicken, Poultry (49) * 6. Desserts (52) * 7. Eggs, Cheese (22) * 8. Fish, Seafood (48) * 9. Holiday Delights (21) * 10. Main Dishes (36) * 11. Meat (57) * 12. Pasta, Rice (19) * 13. Pies, Pastry (48) * 14. Salads (25) * 15. Sauces (10) * 16. Soups (24) * 17. Vegetables (48) * 18. Index (12 Pages). : 7 5/8 x 10 in. : 1 pages . Columbus, Ohio: McCall Publishing - Field Publications. Fine. 1986. First Edition. Soft Cover. 010409: Need to complete your Cookbook Set or replace some favorites? This is a replacement Original, Glossy, Full-Color, Two-Sided Recipage or Recipe Card from the 576 Cards in this Three-Volume popular McCall's Cookbook. SPECIAL BONUS - A Replacement Complete 12-Page INDEX of all 576 Recipes will be included FREE with each card purchase. If you want more than one of the 576 Recipes, they are also available in Groups of 5, 10, 25 or 50 different recipes of your choosing. There is a reduction in cost per card for Groups. Do a SEARCH on this website for "McCall's Recipe Cards Choice of 5 (or 10 or 25 or 50)" to see these group listings. <p> We also have replacement McCall's Special Tabbed Dividers for this Cookbook (Full 18-Tab Sets) and replacement McCall's Printed 3-Ring Binders available. As a reminder, this 3-Volume Cookbook Set contains (with number of recipes per section): 1. Contents (4 Pages) * 2. Appetizers (17) * 3. Breads (49) * 4. Cakes, Cookies (51) * 5. Chicken, Poultry (49) * 6. Desserts (52) * 7. Eggs, Cheese (22) * 8. Fish, Seafood (48) * 9. Holiday Delights (21) * 10. Main Dishes (36) * 11. Meat (57) * 12. Pasta, Rice (19) * 13. Pies, Pastry (48) * 14. Salads (25) * 15. Sauces (10) * 16. Soups (24) * 17. Vegetables (48) * 18. Index (12 Pages). : 7 5/8 x 10 in. : 1 pages . Columbus, Ohio: McCall Publishing - Field Publications. Fine. 1986. First Edition. Soft Cover. 008748: Need to complete your Cookbook Set or replace some favorites? This is a replacement Original, Glossy, Full-Color, Two-Sided Recipage or Recipe Card from the 576 Cards in this Three-Volume popular McCall's Cookbook. SPECIAL BONUS - A Replacement Complete 12-Page INDEX of all 576 Recipes will be included FREE with each card purchase. If you want more than one of the 576 Recipes, they are also available in Groups of 5, 10, 25 or 50 different recipes of your choosing. There is a reduction in cost per card for Groups. Do a SEARCH on this website for "McCall's Recipe Cards Choice of 5 (or 10 or 25 or 50)" to see these group listings. <p> We also have replacement McCall's Special Tabbed Dividers for this Cookbook (Full 18-Tab Sets) and replacement McCall's Printed 3-Ring Binders available. As a reminder, this 3-Volume Cookbook Set contains (with number of recipes per section): 1. Contents (4 Pages) * 2. Appetizers (17) * 3. Breads (49) * 4. Cakes, Cookies (51) * 5. Chicken, Poultry (49) * 6. Desserts (52) * 7. Eggs, Cheese (22) * 8. Fish, Seafood (48) * 9. Holiday Delights (21) * 10. Main Dishes (36) * 11. Meat (57) * 12. Pasta, Rice (19) * 13. Pies, Pastry (48) * 14. Salads (25) * 15. Sauces (10) * 16. Soups (24) * 17. Vegetables (48) * 18. Index (12 Pages). : 7 5/8 x 10 in. : 1 pages . Columbus, Ohio: McCall Publishing - Field Publications. Fine. 1986. First Edition. Soft Cover. 008935: Need to complete your Cookbook Set or replace some favorites? This is a replacement Original, Glossy, Full-Color, Two-Sided Recipage or Recipe Card from the 576 Cards in this Three-Volume popular McCall's Cookbook. SPECIAL BONUS - A Replacement Complete 12-Page INDEX of all 576 Recipes will be included FREE with each card purchase. If you want more than one of the 576 Recipes, they are also available in Groups of 5, 10, 25 or 50 different recipes of your choosing. There is a reduction in cost per card for Groups. Do a SEARCH on this website for "McCall's Recipe Cards Choice of 5 (or 10 or 25 or 50)" to see these group listings. <p> We also have replacement McCall's Special Tabbed Dividers for this Cookbook (Full 18-Tab Sets) and replacement McCall's Printed 3-Ring Binders available. As a reminder, this 3-Volume Cookbook Set contains (with number of recipes per section): 1. Contents (4 Pages) * 2. Appetizers (17) * 3. Breads (49) * 4. Cakes, Cookies (51) * 5. Chicken, Poultry (49) * 6. Desserts (52) * 7. Eggs, Cheese (22) * 8. Fish, Seafood (48) * 9. Holiday Delights (21) * 10. Main Dishes (36) * 11. Meat (57) * 12. Pasta, Rice (19) * 13. Pies, Pastry (48) * 14. Salads (25) * 15. Sauces (10) * 16. Soups (24) * 17. Vegetables (48) * 18. Index (12 Pages). : 7 5/8 x 10 in. : 1 pages . Columbus, Ohio: McCall Publishing - Field Publications. Fine. 1986. First Edition. Soft Cover. 009231: Need to complete your Cookbook Set or replace some favorites? This is a replacement Original, Glossy, Full-Color, Two-Sided Recipage or Recipe Card from the 576 Cards in this Three-Volume popular McCall's Cookbook. SPECIAL BONUS - A Replacement Complete 12-Page INDEX of all 576 Recipes will be included FREE with each card purchase. If you want more than one of the 576 Recipes, they are also available in Groups of 5, 10, 25 or 50 different recipes of your choosing. There is a reduction in cost per card for Groups. Do a SEARCH on this website for "McCall's Recipe Cards Choice of 5 (or 10 or 25 or 50)" to see these group listings. <p> We also have replacement McCall's Special Tabbed Dividers for this Cookbook (Full 18-Tab Sets) and replacement McCall's Printed 3-Ring Binders available. As a reminder, this 3-Volume Cookbook Set contains (with number of recipes per section): 1. Contents (4 Pages) * 2. Appetizers (17) * 3. Breads (49) * 4. Cakes, Cookies (51) * 5. Chicken, Poultry (49) * 6. Desserts (52) * 7. Eggs, Cheese (22) * 8. Fish, Seafood (48) * 9. Holiday Delights (21) * 10. Main Dishes (36) * 11. Meat (57) * 12. Pasta, Rice (19) * 13. Pies, Pastry (48) * 14. Salads (25) * 15. Sauces (10) * 16. Soups (24) * 17. Vegetables (48) * 18. Index (12 Pages). : 7 5/8 x 10 in. : 1 pages . Columbus, Ohio: McCall Publishing - Field Publications. Fine. 1986. First Edition. Soft Cover. 008703: Need to complete your Cookbook Set or replace some favorites? This is a replacement Original, Glossy, Full-Color, Two-Sided Recipage or Recipe Card from the 576 Cards in this Three-Volume popular McCall's Cookbook. SPECIAL BONUS - A Replacement Complete 12-Page INDEX of all 576 Recipes will be included FREE with each card purchase. If you want more than one of the 576 Recipes, they are also available in Groups of 5, 10, 25 or 50 different recipes of your choosing. There is a reduction in cost per card for Groups. Do a SEARCH on this website for "McCall's Recipe Cards Choice of 5 (or 10 or 25 or 50)" to see these group listings. <p> We also have replacement McCall's Special Tabbed Dividers for this Cookbook (Full 18-Tab Sets) and replacement McCall's Printed 3-Ring Binders available. As a reminder, this 3-Volume Cookbook Set contains (with number of recipes per section): 1. Contents (4 Pages) * 2. Appetizers (17) * 3. Breads (49) * 4. Cakes, Cookies (51) * 5. Chicken, Poultry (49) * 6. Desserts (52) * 7. Eggs, Cheese (22) * 8. Fish, Seafood (48) * 9. Holiday Delights (21) * 10. Main Dishes (36) * 11. Meat (57) * 12. Pasta, Rice (19) * 13. Pies, Pastry (48) * 14. Salads (25) * 15. Sauces (10) * 16. Soups (24) * 17. Vegetables (48) * 18. Index (12 Pages). : 7 5/8 x 10 in. : 1 pages . Columbus, Ohio: McCall Publishing - Field Publications. Fine. 1986. First Edition. Soft Cover. 008122: Need to complete your Cookbook Set or replace some favorites? This is a replacement Original, Glossy, Full-Color, Two-Sided Recipage or Recipe Card from the 576 Cards in this Three-Volume popular McCall's Cookbook. SPECIAL BONUS - A Replacement Complete 12-Page INDEX of all 576 Recipes will be included FREE with each card purchase. If you want more than one of the 576 Recipes, they are also available in Groups of 5, 10, 25 or 50 different recipes of your choosing. There is a reduction in cost per card for Groups. Do a SEARCH on this website for "McCall's Recipe Cards Choice of 5 (or 10 or 25 or 50)" to see these group listings. <p> We also have replacement McCall's Special Tabbed Dividers for this Cookbook (Full 18-Tab Sets) and replacement McCall's Printed 3-Ring Binders available. As a reminder, this 3-Volume Cookbook Set contains (with number of recipes per section): 1. Contents (4 Pages) * 2. Appetizers (17) * 3. Breads (49) * 4. Cakes, Cookies (51) * 5. Chicken, Poultry (49) * 6. Desserts (52) * 7. Eggs, Cheese (22) * 8. Fish, Seafood (48) * 9. Holiday Delights (21) * 10. Main Dishes (36) * 11. Meat (57) * 12. Pasta, Rice (19) * 13. Pies, Pastry (48) * 14. Salads (25) * 15. Sauces (10) * 16. Soups (24) * 17. Vegetables (48) * 18. Index (12 Pages). : 7 5/8 x 10 in. : 1 pages . Columbus, Ohio: McCall Publishing - Field Publications. Fine. 1986. First Edition. Soft Cover. 009373: Need to complete your Cookbook Set or replace some favorites? This is a replacement Original, Glossy, Full-Color, Two-Sided Recipage or Recipe Card from the 576 Cards in this Three-Volume popular McCall's Cookbook. SPECIAL BONUS - A Replacement Complete 12-Page INDEX of all 576 Recipes will be included FREE with each card purchase. If you want more than one of the 576 Recipes, they are also available in Groups of 5, 10, 25 or 50 different recipes of your choosing. There is a reduction in cost per card for Groups. Do a SEARCH on this website for "McCall's Recipe Cards Choice of 5 (or 10 or 25 or 50)" to see these group listings. <p> We also have replacement McCall's Special Tabbed Dividers for this Cookbook (Full 18-Tab Sets) and replacement McCall's Printed 3-Ring Binders available. As a reminder, this 3-Volume Cookbook Set contains (with number of recipes per section): 1. Contents (4 Pages) * 2. Appetizers (17) * 3. Breads (49) * 4. Cakes, Cookies (51) * 5. Chicken, Poultry (49) * 6. Desserts (52) * 7. Eggs, Cheese (22) * 8. Fish, Seafood (48) * 9. Holiday Delights (21) * 10. Main Dishes (36) * 11. Meat (57) * 12. Pasta, Rice (19) * 13. Pies, Pastry (48) * 14. Salads (25) * 15. Sauces (10) * 16. Soups (24) * 17. Vegetables (48) * 18. Index (12 Pages). : 7 5/8 x 10 in. : 1 pages . Columbus, Ohio: McCall Publishing - Field Publications. Fine. 1986. First Edition. Soft Cover. 008967: Need to complete your Cookbook Set or replace some favorites? This is a replacement Original, Glossy, Full-Color, Two-Sided Recipage or Recipe Card from the 576 Cards in this Three-Volume popular McCall's Cookbook. SPECIAL BONUS - A Replacement Complete 12-Page INDEX of all 576 Recipes will be included FREE with each card purchase. If you want more than one of the 576 Recipes, they are also available in Groups of 5, 10, 25 or 50 different recipes of your choosing. There is a reduction in cost per card for Groups. Do a SEARCH on this website for "McCall's Recipe Cards Choice of 5 (or 10 or 25 or 50)" to see these group listings. <p> We also have replacement McCall's Special Tabbed Dividers for this Cookbook (Full 18-Tab Sets) and replacement McCall's Printed 3-Ring Binders available. As a reminder, this 3-Volume Cookbook Set contains (with number of recipes per section): 1. Contents (4 Pages) * 2. Appetizers (17) * 3. Breads (49) * 4. Cakes, Cookies (51) * 5. Chicken, Poultry (49) * 6. Desserts (52) * 7. Eggs, Cheese (22) * 8. Fish, Seafood (48) * 9. Holiday Delights (21) * 10. Main Dishes (36) * 11. Meat (57) * 12. Pasta, Rice (19) * 13. Pies, Pastry (48) * 14. Salads (25) * 15. Sauces (10) * 16. Soups (24) * 17. Vegetables (48) * 18. Index (12 Pages). : 7 5/8 x 10 in. : 1 pages .